The Barn at Vijon - Stunning Gite for 1 to 5 people - truly an oasis of calm! Newly renovated, The Barn at Vijon offers guests spacious accommodation with panoramic views over beautiful rural countryside. Boasting exposed beams, characterful stone walls and secluded private gardens. The accommodation is equally suitable for an individual, couples or families (up to 5 people) offering 2 bedrooms (1 double and 1 twin) with a full-size extra bed available. Shower room with WC, separate WC, open plan kitchen, dining, lounge with gallery. Enjoy the spacious south-facing balcony with stunning views whilst having breakfast or an aperitif or why not do some stargazing (great night-time views with no light pollution) there's even a telescope provided! On arrival guests will find 'storecupboard' essentials such as fresh bread, eggs, milk, butter, marmalade, jam, tea, coffee and sugar. To celebrate your arrival we will also have a bottle of wine chilling for you in the fridge! 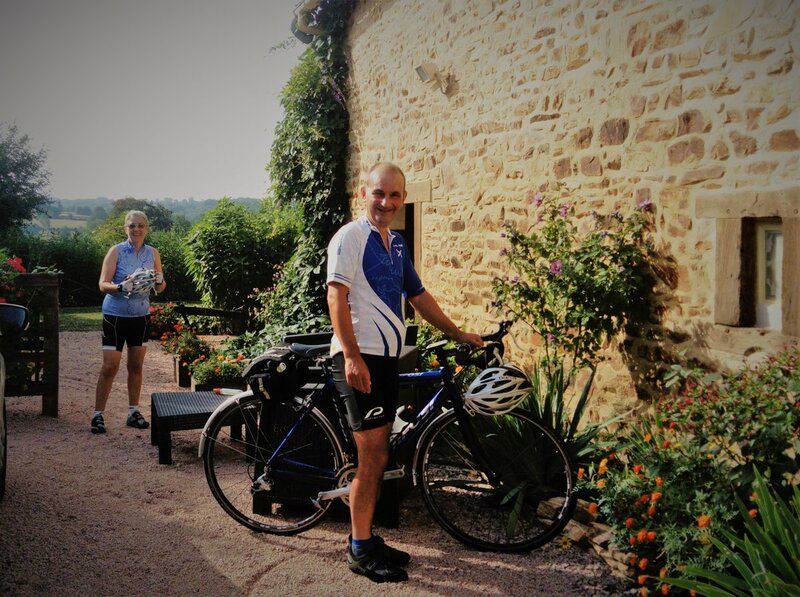 Yorkshireman born and bred - worked for 30 years in the UK Travel Industry (Leisure, Business and Group Travel) but now living a more relaxed life in rural France. Initially ran a successful Chambres d'hotes business in our large house in the Creuse for 6 years before moving to the Indre where we bought and fully renovated our home and our detached barn which is now our self-catering Gite "The Barn at Vijon". We love to host guests from all over the world and take pride in knowing that what we offer is much appreciated by our many guests who are kind enough to leave 5 Star reviews.